Sleek style and simple cycle selection Fully integrated console with LED display makes it easy to choose your desired settings. Minimal operational noise helps keep your kitchen quiet SofSound Technology II sound-reduction package. 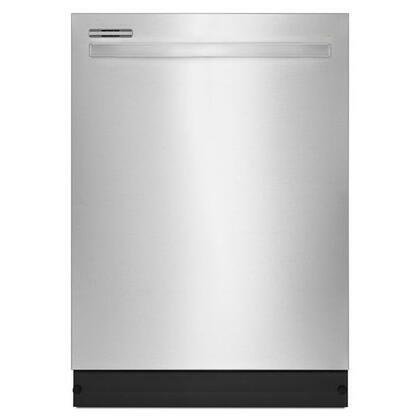 Accommodates 12 place settings 2 racks provide plenty of space for washing large loads. Thorough and efficient cleaning Triple-filter wash system eliminates the need to prerinse dishes. Dishes are ready to be put away almost immediately Heated dry option produces clean dishes without spotting. Clean dishes, pots and pans 5 wash cycles include a SoilSense cycle that adjusts the wash time and water usage for optimized cleaning. Free delivery on appliance orders $399 and up Dishwashers require special installation, which is not included with delivery. Installation can be purchased during check out.